What is the purpose of the Grip Gloves? The Grip Gloves are designed to provide superior gripping in a breathable, comfortable glove. The PVC dots on the palm and fingers allow less force exertion when lifting, holding and sorting. This unique feature requires less overall effort from your hands. 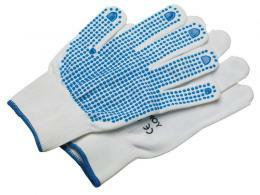 The lightweight 13 gauge, bleach white knitted nylon gloves are designed for comfort and all day use. Sold in packages of five pairs with four size options, you’re sure to find a perfect fit. The Grip Gloves allow you to grip and move anything in the workplace or at home. 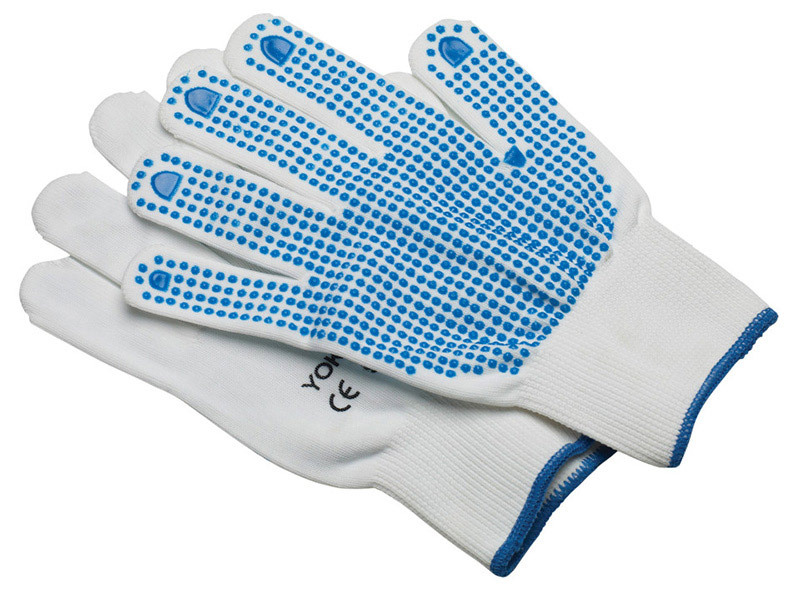 The lightweight, breathable material keeps your hands cool and comfortable. 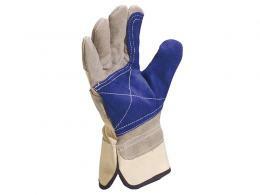 Move with ease and grip with confidence wearing these quality gloves with PVC grippers. The design is simplistic for superior movement and comfort. The Grip Gloves are ideal formechanics, construction workers, inspectors, contractors, packing line employees, and precision workers in a variety of conditions. 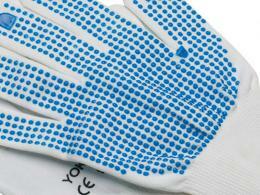 The distinctive PVC dots provide dependable grip and manoeuvrability. The durable knitted nylon offers ventilation for cool comfort. Keep your hands covered and enjoy the agility you depend on to get the job done. Our Grip Gloves come standard with a one warranty. We also offer free delivery and easy returns. At The Workplace Depot, we offer a price promise. If you find the same unit on another site for less, we will match the price, guaranteed! The abrasion of these intermediate design gloves was assessed and examined against harmonised European Standards and approved to EN388: 2142.